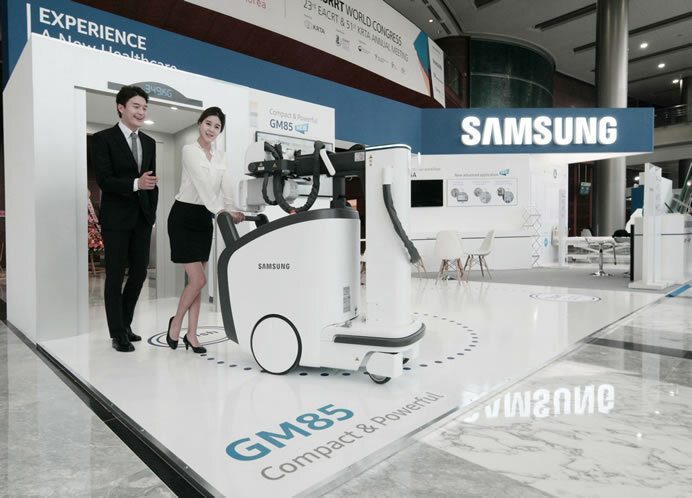 Samsung unveiled a premium mobile digital radiography (DR) system ‘GM85’, at the 19th World Congress of International Society of Radiographers and Radiological Technologists (ISRRT), being held in Seoul from October 20 to 22. 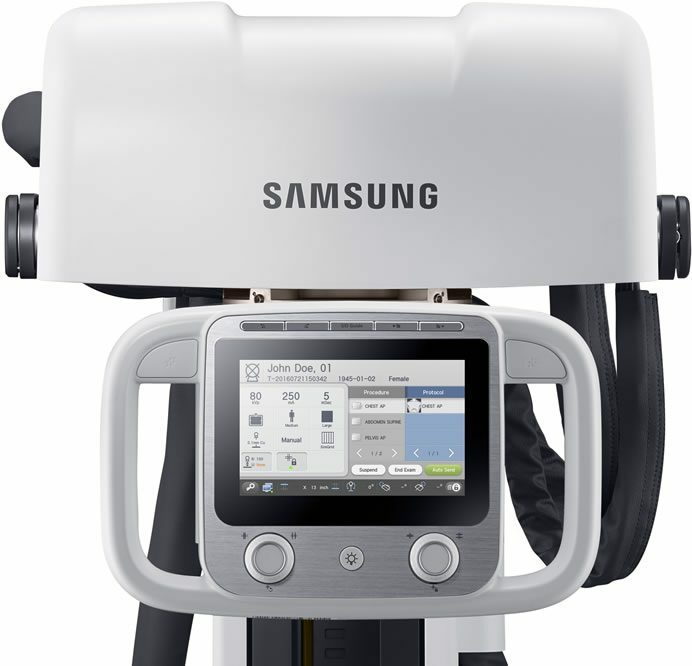 The new Samsung GM85 provides exceptional mobility, enhanced user-convenience and a high image quality to meet the demands of today’s radiographers and radiologists. 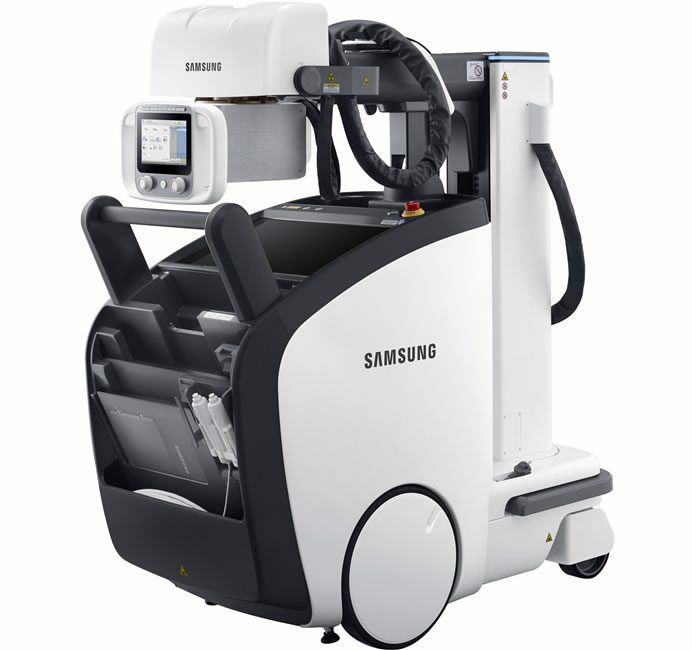 The Samsung mobile digital X-ray gives users clear visibility when moving the system and helps access anywhere easily and the adoptive Soft Driving Control & Front Bumper Sensor offer safe navigation and an ultimate driving experience. The new Samsung GM85 provides high-quality images without using a conventional grid by reducing scatter radiation effects. Also, radiographers can lower retake rates as it eliminates alignment errors that often occur with a conventional grid. The advanced imaging engine enhances image sharpness and clarity. The quick charging battery takes two hours for a full charge and lasts on for all day. With 555mm narrow width and 349kg light-weight, it allows easy access around tight spaces, even in elevators. The GM85 will be available in Korea at the end of October and will launch globally according to each country’s regulatory schedule.